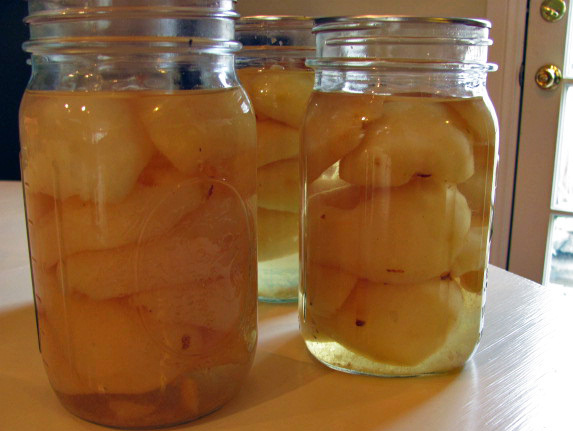 The first thing I did with the bounty of garden pears was to can them in quart sized jars to enjoy this winter. Canning fruit is something my mom has been doing for years, last year I helped can peaches, and this year we did pears. She has all the proper canning equipment, which certainly makes it easier but isn’t absolutely necessary. However, I should note that I am not a professional. What I know about canning, my mom taught me and while no one if our family has ever gotten sick because of home canned food you should follow proper food preserving technique. It doesn’t have to be scary as long as you are using high-acid foods like tomatoes and most fruit. The USDA Complete Guide to Home Canning has all the information you would need. The most challenging thing about canning pears is that you have to work quite quickly because the pears brown (oxidize) very quickly. To get started, prep your jars (I used wide-mouth quart size jars). Wash them in hot soapy water or run them through the dishwasher to clean and sanitize. Place jar rings and new lids in water and bring to a boil. Keep submerged in hot water until ready to use. The best way to can fruit is in a syrup. 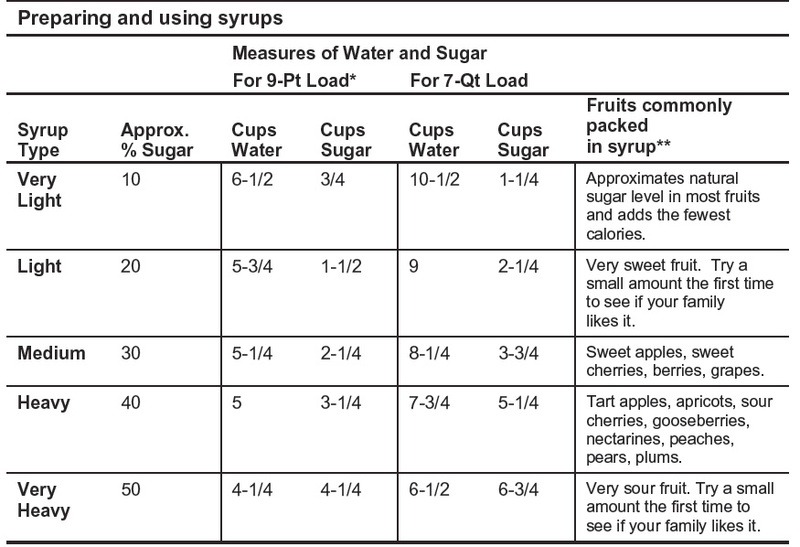 You can use apple or grape juice, but I find that simple-syrup works better since you have more control over the amount of sugar. For these pears I think I used a medium syrup, but you could use a light, or extra-light if you want less sweetness. While the syrup is heating you can fill a canning pot or large soup pot about half full of water, bring to a boil and then turn down to a simmer, but keep it hot. Once your syrup has reaches a boil you can turn it down and begin prepping the fruit. This is where you have to work quickly so the pears won’t brown before you get them in the syrup. Once they have been processed, turn off heat and allow to cool slightly, then remove the jars from the hot water. Once the jars are cool to the touch, check to see that each jar has sealed. If you press on the lid and you hear a pop or the lid moves, they did not seal and will need to be reprocessed. If they did seal, allow to rest with the ring securely on for about 24 hours. After that the ring can be removed and the jars stored in a cool place for a winter day! This is by no means a comprehensive canning guide, if you have any questions let me know and I’ll try to answer them. I would also suggest the Home Canning Guide. Check back later this week for pear jam and a delicious pastry! This entry was posted in Farm-to-Table, Fruit, Preserving and Canning. Bookmark the permalink.